I attended 3 tree lighting's in two cities (Bethlehem / Allentown) and one town (Catasauqua) in 9 days. I also talked to people on the street to get a feel of the area. I also wanted to really get into the holiday spirit. I am not talking about the commercialized version. I am talking about the true meaning. Trying to help people, remembering family and friends, taking time to be alive and not just exist, what makes this time of year special and different. Now that you know why I wrote this, time for the good part. What the season feels like? I will start with my first stop for the christmas season: Bethlehem. Like I said, I heard and noticed there is a lot to see and do during the holiday season. About 2 weeks before Thanksgiving, I decided to spend the day after the turkey (Black Friday) on Main St. in Bethlehem, Pa. Bethlehem is also known as the Christmas City. After I turned the corner onto Main St., I was amazed at the lights and decorations. 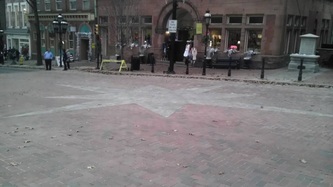 I had originally planned on checking out Main St. and Christkindlmarkt (See links for more info.). I was only going off what I heard. I did not know about the Christmas Village on Main St. 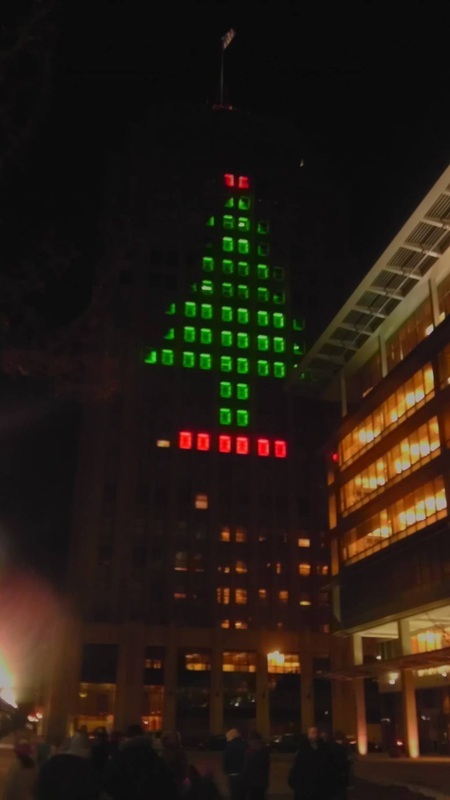 I also did not know the city had their tree lighting that day. I made the right choice by spending my black friday here! I was seriously hoping to catch the tree lighting. I also found out it was the 75th anniversary of Christmas City. 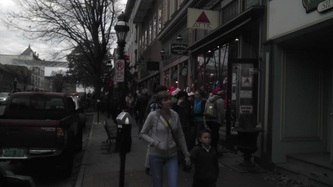 Between walking Main St and the tree lighting, scrap Christkindlmarkt for today. I became absorbed in stopping in the local shops, taking pictures / video, talking to people and the tree lighting ceremony. I did buy a small ornament from one of the vendors in Christmas Village. As for the lights and decorations in the Main St. area: The white lights did get a little monotonous. I did have a feeling, at times, of being there over 100 years ago. The single color really brought out the historic feel. The city had a great turnout for the tree lighting. The crowd consisted of lifelong watchers to first-timers like me. (Note: As of the time I wrote this article, Christkindlmarkt and other events are still on my calendar for Bethlehem). Onto my second stop, so far: Allentown. After my first visit to Bethlehem this season, I made Allentown's tree lighting my top priority. Allentown's tree lighting was on a Wednesday. Hamilton Blvd. between 8th and 9th is the location. Again, I did not know what to expect. I arrived about 1 hour before the actual lighting. The Alternative Gallery had a new exhibit opening and some businesses were open. Holiday music was performed on the stage. Christmas cookies and coffee / hot chocolate were available. Like Bethlehem, no chance of being bored. When I arrived, the crowd was small. The number of people grew as it drew closer to lighting the tree. Some special guests were there, including Pip the Mouse. Everyone was excited and cheered when Santa arrived. Santa's arrival, like other tree lighting ceremonies I attended, started the countdown. With the official tree lit, the city was officially into the christmas season. In case you are wondering, I did have a few, excellent, cookies. I also stopped by the Burrito Works and had the best cup of hot chocolate to date! (Note: There is still a lot I want to check out in Allentown this season, especially Lights in the Parkway). Two cities down, I wanted to get an idea of how the towns were. Next stop, Catasauqua. 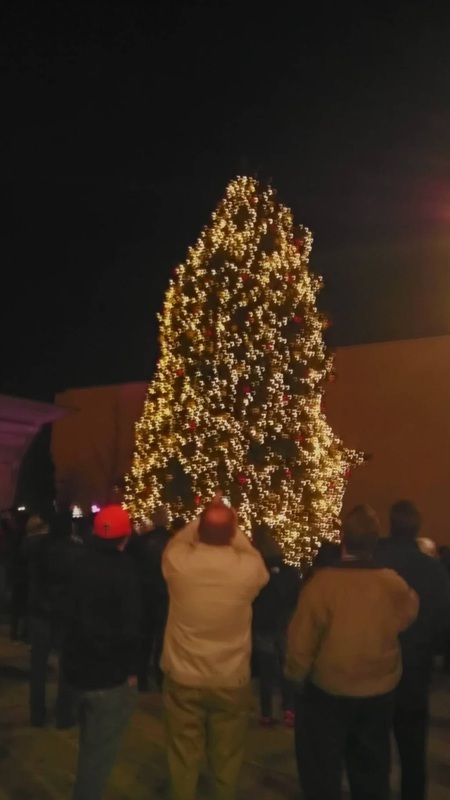 Catasauqua's tree lighting had a different feel to it. The feel was more like home and personal. I arrived about 30 minutes before the tree was lit. Hot chocolate and cookies were available. Donations for the local food bank were accepted. Carols were being sung and people joined in at times. Even though there was a chance of rain all day, people showed up. "Home" and "personal" are good words to describe my experience. It was different from the city. About 10 minutes before Santa's arrival and the tree lighting, nature decided to add an unexpected surprise: rain. Everyone stayed and a few more people arrived. Santa arrived on a Catasauqua Fire Truck. One of his usual modes of transportation for events prior to christmas eve. When the tree was lit, I was amazed. It looked beautiful with the colored lights and decorations. As I was leaving, I looked back at it a few times. The town of Catasauqua did a great job! 3 tree lighting ceremonies down, something a little different next, walking around. I am taking time to walk the streets and experience / take in what people do. This is an essential part of my christmas experience this year. Every house is different and special. Special because people take time out of their lives to brighten the holidays for others. For me, it does not matter if you see a tree through a window or they went all out. I am enjoying it. The events get the most media attention. The individual houses are often lost in the holiday chaos. Believe me, from what I have seen so far, people in the area deserve it. I want to thank every person, in the Lehigh Valley, who spends their time and money decorating. You really helped get this journalist in the holiday spirit!!!! Walking around, looking at the lights / decorations people have put up. Avoiding the malls and stopping by local shops. Drinking a cup of gingerbread cappuccino and hot chocolate (from local coffee shops). Talking to people on the street. Noticing how just saying Merry Christmas can make a person's day. I know from experience, it's why I am in the spirit. When I wrote this article, there were several events I could not attend. Easton's lighting of the Peace Candle and Allentown Symphony Hall's Christmas Concert topped my list. The season has only started with a lot left to see and do. Hopefully, I gave you an idea of what the holiday season is like in the Lehigh Valley, Pa area. No matter where you live, from the largest cities to smallest towns, take a fresh look around. Check out the main events and sections. Take a walk or drive down some streets, snap a few photos, enjoy what people do to make this season special. Final thoughts and links will round this article out. Final Thoughts from the personal side I wrote this sitting in a hotel room where I live. Listening to holiday music, starting with my favorite: Christmas Shoes by Newsong. It has been 5 years since I truly have been in the christmas spirit. The song always makes me think of my wife and how she made Christmas special, no matter what our situation was. I still can not figure out why I didn't just blow it off like last year. Usually, the craziness of shopping does it for me. I have not done any yet. I think that the 5 year mark has something to do with it. Or maybe, just maybe, the christmas magic and Santa Claus still exist. I think it has a lot to do with being in the Lehigh Valley. Bethlehem, Pennsylvania offers some of the world's most unique holiday experiences including Christkindlmarkt Bethlehem and much more.